A cup of tea in cool mountain weather sounds just perfect. 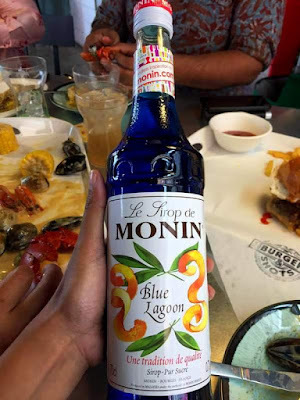 And Resorts World Genting, Unilever Food Solutions Malaysia and French premium syrup maker Monin have teamed up to take that notion to a new level. Introducing the Lipton Nitro Tea, a unique tea beverage that is the first of its kind in Malaysia and is now available only at the newly-opened High Line at Resort World Genting’s SkyAvenue mall. 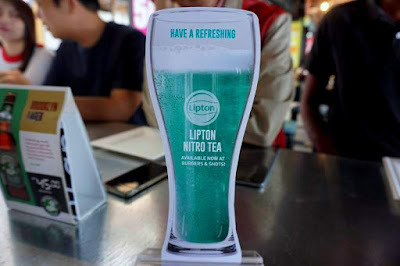 A chilled drink made by infusing tea with nitrogen, Lipton Nitro Tea is the culmination of research by Unilever Food Solutions (UFS) with French flavouring specialist Monin, which has produced premium syrups since 1912. This started with #MixTealogy in 2017, where Lipton tea were infused with Monin syrups to create a tantalising array of tea-based drinks and mocktails, pushing the boundaries of tea drinking culture forward. 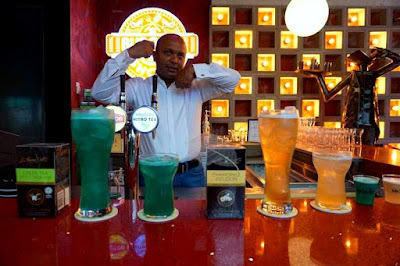 This then formed the basis for Lipton Nitro Tea, which takes Lipton teas prepared from real leaves thoughtfully sourced from sustainable tea plantations across the world and infusing with exciting natural spices and flavours from Monin. That liquid is then poured into a food-grade nitrogen gas cylinder to blend for over seven hours. Rather than diluting the liquid, the presence of nitrogen instantly chills the beverage, creating a frigidly cool tea that is wonderfully refreshing to drink. The nitrogen bubbles into the tea also results in a drink with a ‘thicker’ mouthfeel and a beautifully creamy and rich ‘head’ as it is served from cylinder to glass, just like draught beer from a tap. At Resorts World Genting, two types of Lipton Nitro Tea will mark the debut of Lipton’s latest and most exciting product – Blue Owl Nitro Tea and Spice Bloom Nitro Tea. These two teas have been specifically designed to pair well with food, not overpowering but with enough punch to enhance a dish. Spice Bloom Nitro Tea, with its spicy profile, is meant to pair well with meat dishes, while Blue Owl Nitro Tea, with its sharp citrusy tinge, goes well with seafood. And there will be no shortage of dishes to experiment with Lipton Nitro Tea at High Line. Designed as an upscale food market on the top floor of SkyAvenue Mall, High Line is a dining concept that is both artisan and arty. Seven establishments – called food hubs – serve an expansive menu, from deli sandwiches and barbeque at Carnivore, Chinese pancakes at Jon Bing, the freshest catch of the day at Seafood Market, modern twists on Malaysian recipes at Asian Heroes that serves rice with rendang lobsters and the best patties and buns at Burgers & Shots. Craft beer kiosk Brooklyn Brewery and retro-flavoured cocktail bar Back In Time round up the offerings. Lipton Nitro Tea is available at Burger & Shots. Once purchased, diner can take the drink to any of the food hubs.